Description: The Fatalis found in the swamp near the Lake of Darkness mixes its dragon element with the abundant supply of water in the area. This is known as the 'BlackWater' element. it can shoot beams of Blackwater like Plesioths, when enraged, being hit by this means death. It can also rain down beams of blackwater like the meteors and lightning of the crimson and white fatalis. most powerful yet. 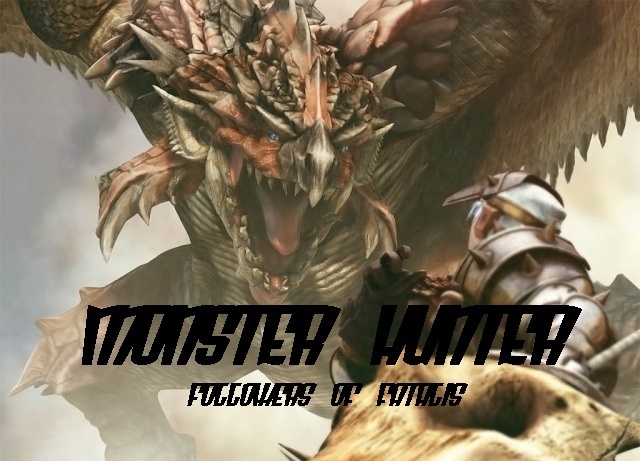 rp: as hunters advance towards the fatalis it turns its head towards them. it lets out a huge scream and blackwater beams down from the sky. I'll Give you an A for concept. But as for the Follower of Fatalis Storyline, I cannot approve this. I'm sorry. The White fatalis is the only fatalis here, and what makes it very powerful is the fact isthat it is sentient. Doesn't mean it can't be approved. White Fatalis was never the only one, just the most powerful one. I say approved. Im inclined to agree with Tobakado.. There is only supposed to be the original Fata's..